Rawalpindi :�The Punjab government is mulling over a plan to run the streetlights of Rawalpindi on solar system to save huge expenditure being spent on electricity charges. In this connection, negotiations are underway between the Punjab Chief Minister Mian Shahbaz Sharif and officials of Chinese firms to reach an agreement on introducing solar streetlights system not only in Rawalpindi, but also in other major cities of the province. Commissioner (Rawalpindi) Khalid Masood, when contacted, acknowledged that Punjab government is working on the plan to replace streetlights with solar streetlights. When asked as how much the project would cost, he said Punjab government is in talks with Chinese firms to reach a conclusion. �Estimates of any project are made after preparing the feasibility study, which is made after reaching an agreement. The project is first approved then remaining work is started,� he said. 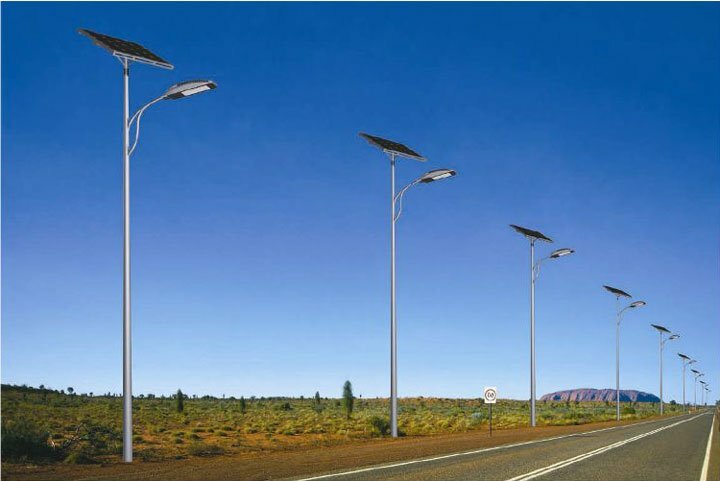 According to sources, the enforcement of solar streetlights system would improve and people would find no darkness in any part, street or on road. He said that at present although the streetlights are installed, yet in many parts even on main Benazir Bhutto Road they remain off because of power cuts and non-payment of bills. The sources said with the enforcement of solar streetlights system, load on electricity usage would drop to great extent. The change of system from electricity to solar lights would improve the entire lighting system and there would be no cause of concern for the people anymore. After the new project, the civic bodies would be able to save expenditure on energy, also enabling them to clear their outstanding dues to the power companies.